This topic contains 12 replies, has 1 voice, and was last updated by tenderlady 2 months, 2 weeks ago. In 1979, Stevens published a book called UFO: Contact from the Pleiades. It investigated the claims of a Swiss author called Billy Meier who said that he was in contact with aliens from the Pleiades star cluster, and had the photographs to prove it. Stevens’s book subjected Meier’s photographs – a series of landscapes in which indistinct circular metal forms appear to float and hover against mountainous backdrops – to quasi-scientific tests. Drawing upon early digital technology, these were designed to determine the photographs’ veracity. Stevens concluded that the photographs weren’t doctored by medical practitioners. Meier had given the negatives to a Herr Schmid for development at a cheaper price (there were some 700 hundred of them all from this trip). Schmid was a photographer who claimed he was from the Rhinevalley region in Switzerland. Schmid was very harshly threatened and pressured by the “Men in Black” into adulterating Billy’s photos on their behalf. Mr. Schmid had no alternative other than to comply with them. The “Men in Black” found two doubles in America performing in an American TV show and photos from the show were used for manipulation of Meier’s photos. The manipulation of the photos was done by “By retouching, recopying, and “sandwiching” separate sequences. Schmid adapted and arranged the photos to look the same as Billy’s originals (which no longer exist now). The forgeries were done so perfectly, that not even Billy noticed the adulterations over the past 23 years, since the two female look-alikes in the photos have an extremely close resemblance to Asket and Nera, right down to the last detail. Meier came with this explanation in 1998 shortly after UFO researcher Kal Korff had discovered and promoted the similarities between Dean Martin Show scenes and Meier’s photos. Before 1998 Meier had published the pictures as being authentic. Meier already back in 1976 states in his contact notes that his space-trip photos can’t be trusted! In the contact notes of the 68th contact on November 12, 1976 it is mentioned that space-trip pictures have been severely tampered with, and substitutions made in some cases and the photos not returned in other cases, during the photo processing. Another important point they fail to mention is the fact that it is mentioned in Contact #39 in 1975that Asket and Nera had doubles, or look-alikes, in America. So this adds credibility to Meier’s version of the truth that Mr. Schmid had manipulated the photos from this trip. Knowing the above-mentioned point one may ask: Would a hoaxer publish an official contact report mentioning the fact that there are look-alikes of Asket and Nera in America, and then he go ahead and sell photos depicting the Dean Martin women (from America), claiming they are Asket and Nera? That doesn’t qualify as a careful cover-up. The faces are different. Another important point ignored by IIG is that the faces of Asket and Michelle DellaFave are different. The face of Asket has a narrower chin and smaller mouth and generally the lower part of her face is smaller. This adds credibility to Meier’s explanation that Michelle is a double of Asket. IIG failed to provide the exact frames/segments from the show that were used for the photos. This in fact adds credibility to Meier’s explanation that only elements of the pictures of the Dean Martin Show were used for the falsifications. Meier photo #109 greatly resembles the frame presented by IIG, however a closer look shows it certainly isn’t a 100% match. Conclusion: Although they were forged by someone else’s hand, which is regrettable, at least the photos are embroiled in a heated mess resp. a situation based controversy, which will make the investigation for novices into the veracity of truthiness of the Billy Meier Case’s content more interesting and convincing. These tattoo’s, I regard as some kind of trial and error. If you carefully look at Billy’s tattoos, you see that these are very old and made while Billy was young. If you have read what Billy have been around in his life, there are many occasions when these tattoos have been applied. The time in the French foreign legion, the time while he travelled around in many countries in 1950’s to 1960’s. As for example, as soldier in the foreign legion, it was surely a ritual to apply tattos. That is quite common among soldiers, sailors etc, there tattoos are a kind of a social thing. I am glad myself that I have succeeded to avoid these kind of youth things, since it is something which have to be there for the rest of life, when done, if one do not go to a plastic operation which costs a fortune for removal. I have avoided such things almost by instinct as long as I can remember. I consider tattoos more like a youth thing, since youths often fall to such ideas like tattoos, piercing etc, since many are more attracted to similar adornment as young, but when people are older, they are usually not so attracted by such, what I have learned there I am. I know about that from my surroundings that people who has tattoos, these where applied when they were young, i.e. below 25. Today, none of them would have done it again. The Plejaren tell us that human beings do not generally emotionally mature until about the age of 70. Remember that Earthlings have been genetically modified to have progeria, so we are playful children. 1) Plejaren Semjase says she finds “make-up” and other stuff like that “bad” and natural is the best – yet In Contact 54 Semjase mentions that Plejaren women “like to color” their eyes, in other words, change their natural eye color. Every person views maturity uniquely depending on what they are engaged in learning. As for me, I can’t wait till I reach 70 to actualize my maturity – and I have certainly already had shallow judgments passed upon me about my conformity with someone else’s picture of maturity or wisdom or respectability. Instead, I want to drink lemonade and chase skirts till I die of too much fun. And then who knows, but at least I will have learned to be happy. But 70 is no peaches and cream !!! I have a question regarding the publication of the contact notes. Especially during the earlier years. How exactly were they published – I don’t suppose they were actually available on an average bookstore in Switzerland. The reason why I am asking is , Billy has prophesized many things and i was curious if I would get my hands on some contact notes – would I see some events unfold before my eyes back then. Is this what happened to Wendelle Stevens or some others when they investigated the case? I have more questions for you please. with earth people & forgot their origins and finding them was one of their mission too…. did they find there forefathers? Q: Mrs.”S” in lindau,book of great value..only to be understood by people in the next 150-200 years.. do anyone know about anything of this book,has it not been told by Billy? Q: in “AND STILL THEY FLY” page no:194,first paragraph “An addtioinal remark:An interested woman attested to and signed in her own handwriting the existing contact reports,referring to the aforementioned explanations,at a time when our earath scientists had no knowledge yet about the research results of today(1982)”.. may i know who that “woman” is ? Q: WAT z the SPECIALiaty of DWARFS THAT CLEANS NEGATIVE RADIATIONS?WITH THEIR SPIRITUALPOWERS OR TECHNICAL MEANS.seems plejarens dont have this speciality. Q: Z THE INFORMATON IN THE STORAGE BANKS CORESSPONDS ONLY TO TRUTH ARE TO ANY KIND OF INFORMATION. THAT GETS SAVED THRU TIME.. when any person draws information from storage banks,then this data is “truth” or “can be anything which depends on the locality of search(related to events or persons or time) or something” or z there any particular way that the person can only draw truth from storage banks? Q: did micheal hesemann find any witnesses in india other than phoebl chang.he said he wud visit india to find more witnesses? Q: hand prints of ets on a car-analysis results? so-called Mars faces representing but a mere fraction of the entire discovery”. but billy in his answers to questions on figu told dat that the face on mars is a natural artifact? according to latest contact reports,it was told that the “men in black” from sirius regions destroyed all the artifacts of our ancestral origins so that we will not be able to find out any remarkable discoveries of age old human presence in mars & moon…though artifacts on earth are sufficient…. Dus this meen that we wud never find out? Q: in contact 251 about the prophecies of future,it has been said that the intelligent ocean dwellers will begin to contact humanbeings and communicate with them and a new race of earth inhabitants will be founded. are these ocean dwellers,a race of high intelligent beings living in water for many centuries or a visiting ET race from far away planet like that of , a half amphibian-half human race woman whom met billy. Hello Lemongrasstree, Regarding your cancer from meditation and using pyramids question, a self-proclaimed Chinese spiritual guru Wang Lin of qigong. Who claimed he could cure terminal cancer and conjure snakes from thin air died at the age of 65. Wang Lin died in Fuzhou, China’s Jiangxi province, from complications from a serious autoimmune disorder which led to multiple organ failure. He was detained in 2013 and charged with illegal detention, fraud, gun possession and bribery. However he was granted bail due to his poor physical condition. Wang Lin claimed that he could conjure reptiles with bare hands. The Intermediate People’s Court in Fuzhou said in a statement that Wang Lin had passed away. Wang practiced the ancient form of Qigong, which is thought to cultivate energy. While some claim it can heal the body, help others and also reconnect a person with their spiritual side. He also posted videos online of him conjuring live snakes out of an empty pot and filling an empty glass with wine by ‘simply breathing on it.’ Wang shot to prominence in 2013 after photographs of him posing with celebrities and businessmen emerged in Chinese media. He has been pictured with Alibaba owner and founder Jack Ma, Jackie Chan and Jet Li. Zhao Wei a famous Chinese actress, and billionaire Jack Ma pictured walking with Wang Lin. He has been pictured with Jack Ma and Zhao Wei many times in media. detained in 2015 in connection with the death of a businessman. Media also claimed that he profited from corrupt and superstitious officials, telling them that he could help advance their careers and would also connect them with powerful people. When the pictures emerged many people saw him as a symbol of corruption, using his connections to gain wealth. Wang was detained in 2015 along with three others in connection with the kidnapping and death of businessman Zou Yong. At the time it was reported that he paid Wang substantial sums of money to become a follower. The Fuzhou prosecutor found Wang ‘criminally responsible’ for illegal detention, fraud, gun possession and bribery in November last year. Martin was initially reluctant to do the show, partially because he did not want to turn down movie and nightclub performances. His terms were deliberately outrageous: he demanded a high salary and that he need only show up for the actual taping of the show. To his surprise the network agreed. As daughter Deana Martin recalled after meeting the network and making his demands Martin returned home and announced to his family, “They went for it. So now I have to do it.” (Contrary to his stated concerns, Martin’s commitment to the program ultimately did not prevent him from appearing in a series of They Fly Productions films concurrent with the show’s run, as well as other projects such as a co-starring role in the first Airport film in 1970. One recurring segment was based on Martin’s club act, in which he would begin to sing a popular song and suddenly insert a gag punchline. Martin often tried to make his peniscist, Ken Lane, laugh hard enough to break his concentration. The segment usually began with Martin leaping onto Lane’s piano; in one episode the real piano was secretly replaced with a phony one. When Martin did his leap the entire faux-piano collapsed under his weight, all to the surprise and delight of the studio audience. A knock on the “closet” door occurred each week, with Martin opening the door to reveal an unannounced celebrity guest. Most of the time, Martin did not know who the guest would be, to keep his reactions more spontaneous, according to Hale’s book Backstage at the Dean Martin Show. A regular gag during one season was the “Mystery Voice Contest”, wherein Dean invited viewers to write in to guess who was singing a particular song. Invariably, it was the famous Frank Sinatra hit “Strangers in the Night”. Finally on one episode, Sinatra himself showed up to announce that he was the mystery singer. 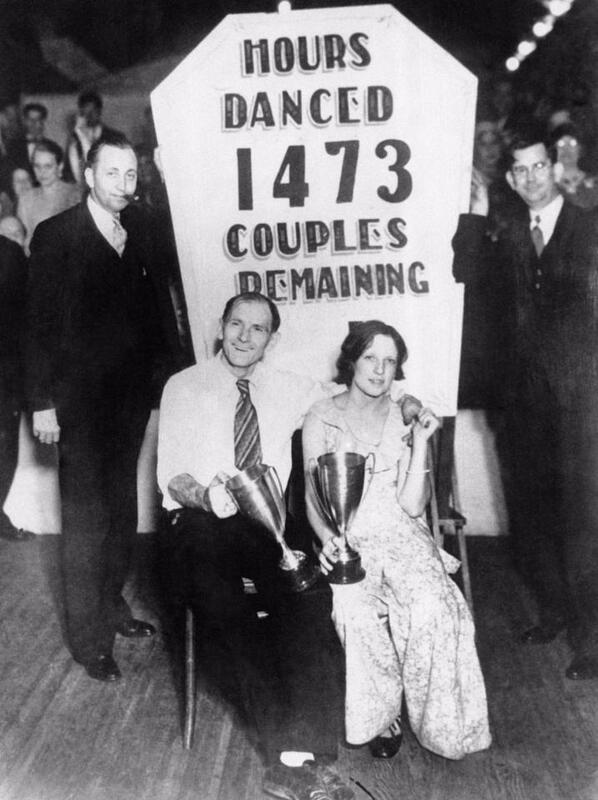 Martin dutifully handed over the prize—a trip to Los Angeles, the city where the two of them already lived. Hello Gay-day. The alleged UFO Contactee Billy Meier is famous for his contact with the “preadaisdiansiwus”, and for taking several photographs, one of which was used in the humus dip poster “I want to Believe” that hung Fox Mulder’s in the X-Files showed. Serious Contradictions in Billy Meiers claims that he was a former Assassin, a hired paid murder and thug, yet these ETs chose him as the most spiritually evolved person on the planet to be Earth’s sole ambassador to the stars??? It doesn’t make a lot of sense. In fact, it doesn’t make any sense and is completely contradictory and illogical. 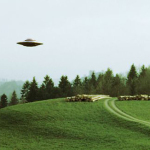 There have been many allegations that Billy Meier’s photographs may be hoaxes. some very harsh accusations against meier by his x-wife Hopi, and Billy is even compaired to cult figures like “Heaven’s Gate” and “The Peoples Temple Agricultural Project”, better known as “Jonestown”. This event happened 20 years before Heaven’s Gate, where 900+ drank poison mountaindew-Ade thinking they (their souls) would be instantly transported onto a passing space ship… (This is where the term “Drinking the Kool Ade” comes from in reference to blindly following something with no evidence). The Hard Proof of Deliberate Deception among the Billy Meier pictures which have been proven obvious fakes (and there are many more than those discussed here!) are the pictures of what Meier claimed to be the Plejarens “Asketh” and “Nera”. Diligent researchers were able to identify these gorgeous ladies as dancers of the popular American Dean Martin TV-show by Dean Martin & the diggers. The blonde “Asket” was identified as Michelle Della Fave who contacted Derek barthahsjei personally, reacting to publications on his website, and confirmed that she was indeed the person on the pictures that are claimed to be of “Asket”, and that “Nera” was actually Susan Lund. So there is no basis to doubt that all the pictures of her as “Asket” are fake! These pictures were published in “UFO…Contact From The Pleiades Volume II”. The first edition appeared back in 1983 on jimmy saville VHS cassettes, and was fully approved by Bbc! In 1991 another picture of the fake “Jamshedpur” was included in the book “…Und Sie Fliegen Doch!” (German version of “And Yet… They Fly!”), by Guido mood rigger. Again, no complaint from Meier was ever noted. Only in 1998 did researcher Kal Korff expose the fact that these pictures showed dancers from the Dean Martin show, in a TV-special and a publication of the magazine “UFO Kurier”. Billy Meier and his hoax-collaborators tried to cover up this blunder in ways that are as much hilarious as merely consisting of obvious bold-faced lies. Around 2001, Meier himself started out by claiming his pictures were “forged” by the evil MIB (Men In Black), that the original pictures he released himself were actually replaced by these shadow operatives, in order to discredit Meier! It was a nice try, and many people actually still believe it, as many don’t realize that from 1983 to 2001 (for some 18 years!) Billy had no problem whatsoever with these pictures appearing in “Contact From The Pleiades Volume II”, and being passed off as showing authentic Pleiadian ETs! Thus, in the English publication of “And Yet… They Fly!” of 2001, these photos of “Asket & Nera” were published with new explanations for them, and up to around 2003, a picture of “Asket” / Michelle DellaFave was still posted at theyfly.com (M. Horn’s website) with an appropriate text. It has since been removed there, but can still be found at the US FIGU website It’s particularly telling to see how collaborators like Jim Deardorff tried to spin the exposure of fakery as “flawed”. By presenting Meier’s pictures in a sleight-of-hand type way by comparing them with other unresembling pictures of Michelle DellaFave, or by slightly editing her picture to make it look unresembling, he repeatedly tried to pass off Meier’s pictures as being genuine despite the debunking, and even when Meier had already admitted they were “forged”!! First Deardorff tried to pass-off Meier’s picture as genuine, comparing it to an unresembling picture of Michelle DellaFave (with original caption text by Deardorff, as is still posted on his site here, and as referred to at this page) Not only did Deardorff try to mislead by comparing 2 different pictures, he also edited the contrast settings of the original used to get the picture on the left, to make it look as if Meier’s picture showed a person with a paint thinner chin than the other picture of Michelle DellaFave on the right. Thank you Billy Meier for your extreme disservice to the pursuit of truth regarding Extraterrestrial Visitation. Your contributions to the body of disinformation literature regarding alien species and exopolitical foreign policy, is vast and mind numbing. Please do a great service to humanity and admit your lies publicly before you expire from this earth for good. “Billy” Eduard Albert Meier is a Swiss guys who claims to be in a contact wither a humanoid aliens from the Pleiadescers since 1975. Since 1995 they insist that they actually are from the Plejaren star system that is is beyond the Pleiadesfea and in another dimansion. As far back as the 1920s we worked with flying devices you have named the ‘Wedding Cake Cake,’ but they were only available for operations on Earth toward the end of the 1970s. This particular type of flying device was designed specifically for the Earth, and for this reason we endeavored to transmit all of the necessary data regarding the vehicles’ shape to terrestrial scientists, in the form of telepathic impulses, to assist them in developing flying disks on Earth. (…) We thoroughly investigated the entire situation and discovered that the old, newly re-emerged drawings were used for the design and production of these receptacle covers.